Our automated system helps you increase welding quality, improve welding productivity, enhance the working environment and decrease manufacturing cost. Special Purpose Machines (SPM) with simple timer and contractor control to complex designs using CNC controllers, servo motors, pneumatics, hydraulics as requirement. 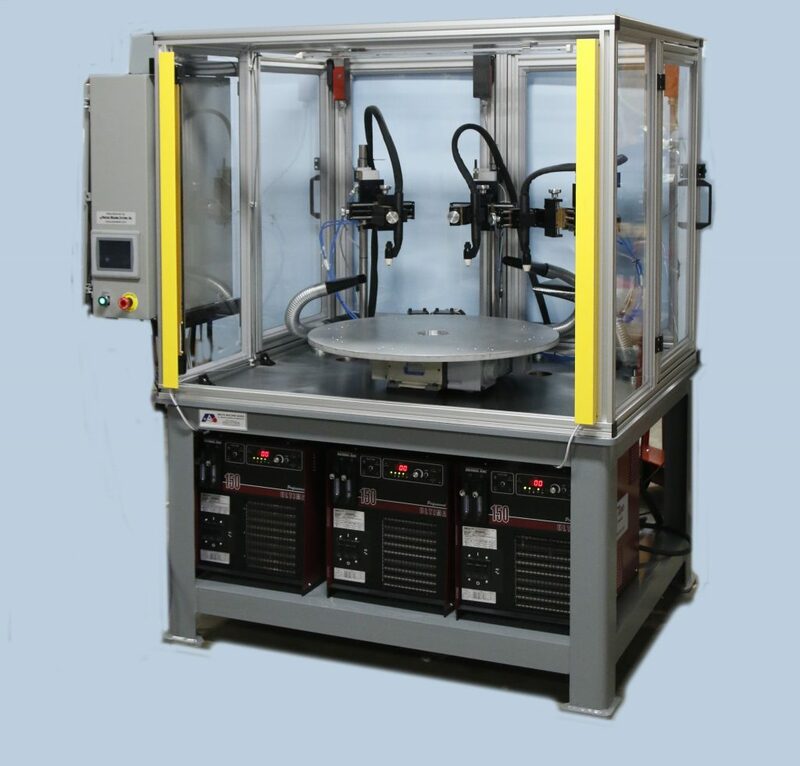 Process Welding Systems’ design, manufacture and sell complete weld automation stations for mass production with automated welding of various components , equipments, overlay metal build up, hard-facing and metal spray applications . Ultima 150 plasma power supply with DT-100 programmable weld controller. An assortment of plasma torches that can weld from 0.1 amps to 50 amps, 1.0 amps to 150 amps and 10.0 amps to 300 amps. Maxstar 200LX TIG power supply with DT-100 programmable weld controller with an assortment of TIG torches and accessories. Improved Weld Quality: mechanized welding improves repeatability. Increase Production: automating the weld process speeds up the production rate. Decreased Scrap: automating the manufacturing process decreases error potential. Consistency: an automatically produced machine-weld offers more consistency than less controlled methods. Contact us about welding equipment demos, weld development, weld training or equipment available In our weld lab or call us at 615.793.7020.